Rinse all the strawberries, cut off the tops and then hollow out center of the berry. Mix together cream cheese, powdered sugar, and vanilla. 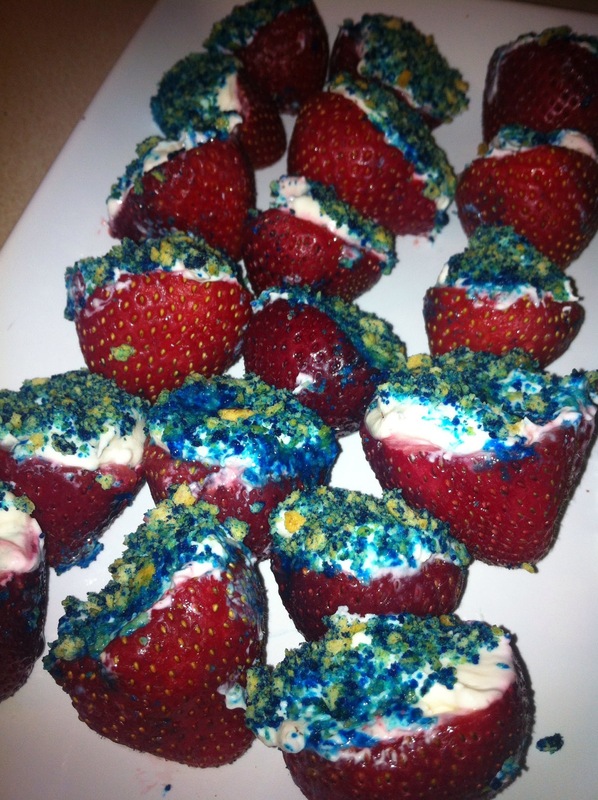 Fill strawberries with cream cheese mixture and dip in graham cracker crumbs. Refrigerate until ready to serve.